When they were crafting a screenplay for 2005’s franchise-rebooting Batman Begins, writer David S. Goyer and director Christopher Nolan drew heavily on such DC-published titles as Frank Miller’s Batman: Year One as well as Batman: The Long Halloween and “The Man Who Falls” from Secret Origins. 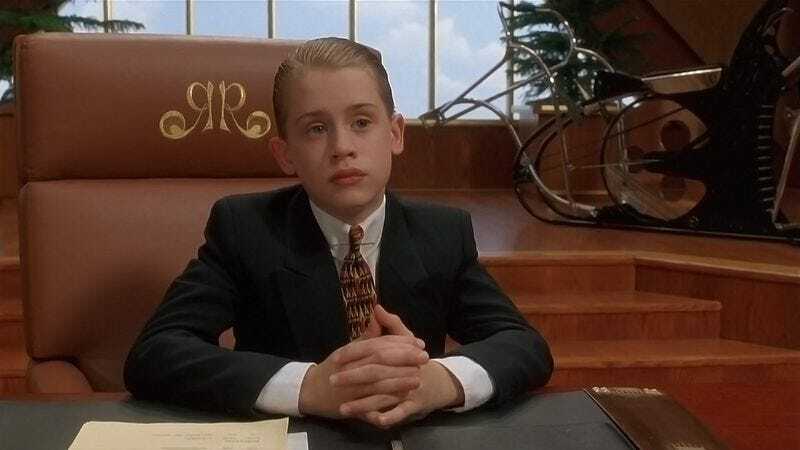 But a new YouTube video suggests that maybe the blockbuster’s biggest inspiration was something else entirely, something completely outside of the canon: 1994’s Richie Rich, directed by journeyman Donald Petrie and starring Macaulay Culkin as an impossibly wealthy child. Even though Nolan and Petrie were toiling on opposite sides of the critical tracks, their movies cover a lot of the same ground. They’re both directing comics adaptations released by Warner Bros. More importantly, the character of Richie is closely analogous to Bruce Wayne (Christian Bale). These characters are both “poor little rich boys” whose wealth and privilege isolate them and turn them into weirdos. Richie’s faithful butler and protector, Cadbury (Jonathan Hyde), fills the same basic role as Batman Begins’ Alfred Pennyworth (Michael Caine). Moreover, Batman Begins has scientist Lucius Fox (Morgan Freeman), who works for Wayne Enterprises and helps create all those fancy gadgets for the title character, while Richie Rich has Professor Keenbean (Mike McShane), who works for the Rich family and does pretty much the exact same thing. Both Richie and Bruce work to protect the family company and possessions from villains who try to take the organization down from the inside. Sure, Bruce’s parents are actually killed, while Richie’s folks are only assumed to be dead for part of the movie. But these are subtleties.